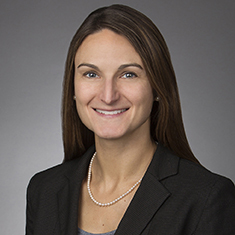 Julia Schmidt advises her clients on a variety of real estate matters involving the purchase and sale of commercial properties and multifamily housing, leasing, financing, real estate development, affordable housing and federal low-income housing tax credit matters. Her experience also encompasses drafting and negotiating various agreements, including purchase and sale contracts, joint venture agreements, loan and refinancing agreements, and other related commercial real estate transaction documents. Julia has also evaluated and advised government-sponsored enterprises on various multifamily asset management transactions as well as managed structural and governance matters for corporations, partnerships and limited liability companies. Julia’s experience includes advising real estate developers, owners and investors, financial institutions and borrowers on a variety of real estate matters, such as acquisitions, dispositions, development, financing, leasing, public-private partnerships and military housing privatization. She additionally counsels clients on the funding of affordable housing projects through the use of tax-exempt and taxable bonds. While attending law school, Julia served as an executive editor of the Georgetown International Environmental Law Review and completed an internship with the Department of Justice, during which she investigated tort claims and recommended claim dispositions to the General Counsel’s office. Prior to law school, she was a paralegal at a Massachusetts law firm, where she worked on real estate and environmental matters. Shown below is a selection of Julia’s engagements. Representation of a developer in obtaining $539 million in construction financing from the New York State Housing Finance Agency for a residential tower project that will offer more than 900 apartments at market rates and more than 230 units of affordable housing. Representation of a development corporation in the closing of a $210 million bond financing for the construction of a 40+-story building to contain more than 300 residential units, more than 60 of which will be reserved for low- and moderate-income households, as well as nearly 30,000 rentable square feet of retail space. The project has anticipated total development costs of approximately $300 million and was established with a multi-unit condominium structure to facilitate the project obtaining expected LIHTCs. Representation of a luxury New York City real estate developer in connection with the financing and development of a multifamily project located in Long Island City. The project, one of the largest apartment projects in Queens, is expected to contain more than 950 residential apartment units in two towers (20% set aside for affordable housing and additional units set aside for workforce housing), more than 15,000 square feet of commercial space and parking for more than 65 vehicles. The transaction is structured to facilitate the generation and potential syndication of tax credits. Representation of a national residential real estate developer in the closing of a $95 million bond financing transaction. The client plans to build a mixed-use building containing more than 320 residential apartments and ancillary commercial space and parking, reserving 20 percent of the apartments for low- and moderate-income households, located in a popular area of Washington, DC. Total development costs for the project are estimated at $140 million. Representation of a real estate agent and manager in the development of a nearly 40-story tower in the Greenpoint neighborhood of Brooklyn, New York. The riverside luxury high-rise will contain more than 40,000 square feet of retail space and approximately 600 total residential apartments and condominium units. Representation of a developer of distinctive real estate properties as financing and development counsel in the closing of a $175 million bond and construction loan on a project with total development costs of approximately $300 million and a major joint venture equity financing for the development of a 50+-story, 580+-unit residential building in Brooklyn. Katten additionally represented the owner in securing joint venture partners at various levels of the ownership structure, including major foreign investors contributing substantial equity. Provision of assistance to a developer of distinctive real estate properties with its refinancing of the construction loan used to develop a complex in Manhattan. The project, which is comprised of three separate condominium regimes, contains more than 1,200 residential units (more than 240 of which are reserved for low-income individuals and families), plus ancillary parking facilities and a large retail eatery. The Katten team coordinated the tender of more than $500 million in New York State Housing Finance Agency tax-exempt and taxable bonds and direct purchase of such bonds.